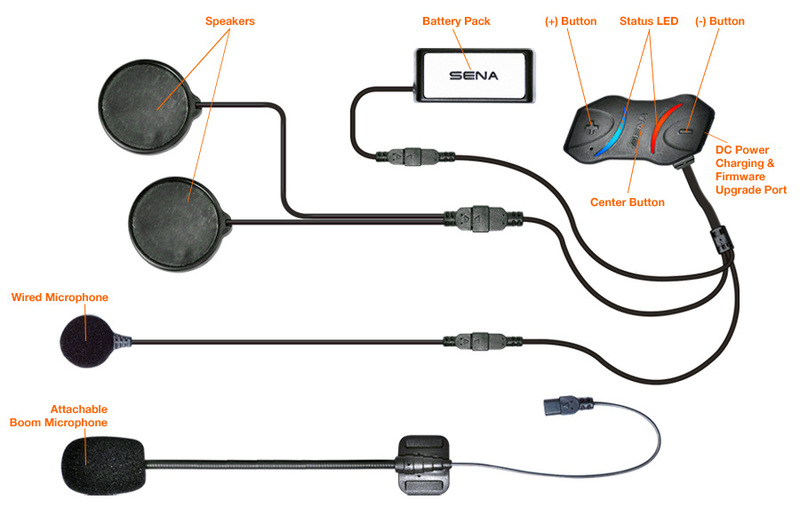 The SMH10R is a Bluetooth 3.0 stereo headset with long-range Bluetooth for Motorcycles intercom designed specifically for motorcycle riders who prefer smaller form factor for maximizing their riding performance, yet maintaining rich features of Bluetooth for Motorcycles intercom. With the SMH10R, you can call handsfree on your Bluetooth mobile phone, listen to stereo music or voice instructions of GPS navigations by Bluetooth wirelessly, and have intercom conversations in full duplex with other riders. Thanks to the latest Bluetooth for Motorcycles and the advanced digital signal processing technology inherited from the SMH10, the SMH10R offers the best sound quality for both incoming and outgoing sound in its class. Also, its super thin and compact form factor contribute higher performance for sports bike riding and it makes the SMH10R a perfect companion of motorcycle riders. 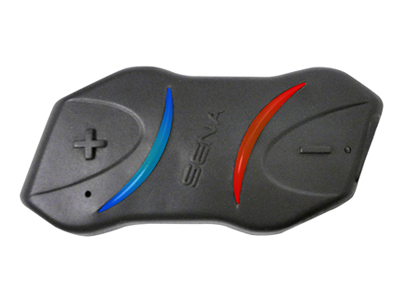 Sena Bluetooth makes any helmet into Bluetooth helmets. 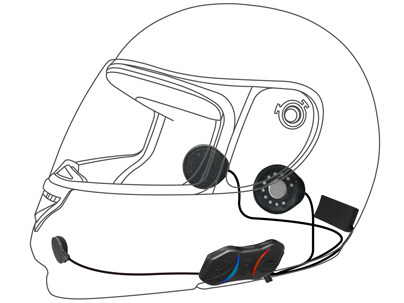 The main unit comes with double sided tape to adhere to the side of the helmet, stick velcro pads to the back to hold the battery pack and the speakers and the microphone come with velcro pads to stick on the inside of the helmet to adjust speakers and microphone. It comes with a BOOM microphone and a wired microphone, use which ever one is comfortable for your situation. You can make any helmet into a Bluetooth Helmets. You can purchase extra mounting and kits and transfer the kit to many different helmets. 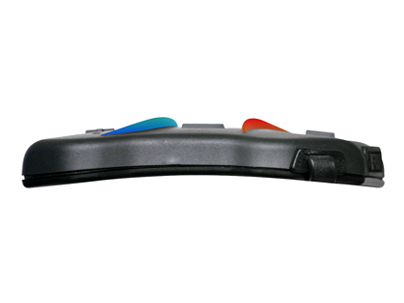 You can have as many Bluetooth Helmets as you want with as many mounting kits you purchase. Contents of package, Double sided tape for main unit, Velcro pads for battery pack, speakers, and microphones. Comes with an attachable BOOM microphone and a wired microphone.